Confession time: when it comes to the Beatles, I’ve never really understood what all the fuss is about. I’m well aware that this is heresy to music lovers — the Beatles are arguably the greatest band of all time, and certainly one of the most beloved. But while I do like several Beatles songs, I never truly became a fan of the group. As a result, there are many Beatles songs that I’ve never even heard before…and I’m thinking it’s time for that to change. 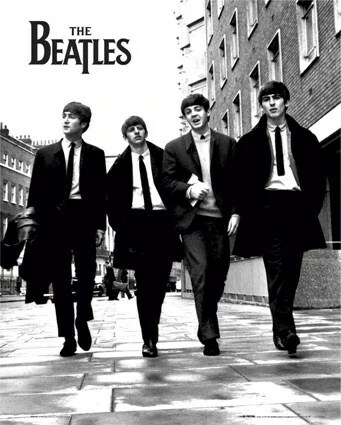 Therefore, I’ve decided to make 2013 the Year of the Beatles. According to Wikipedia (that ever-reliable source), they released 12 original U.K. LPs. There are also 12 months in the year. Coincidence? I think not! So here’s the plan: I will immerse myself in one Beatles album per month. I’ll listen to it repeatedly and attentively, making notes on the individual songs. Then, on the last Saturday of every month, I will write a post about the album and my reactions to it. The album for January is Please Please Me, released in 1963. I just realized that this is perfect timing, as 2013 is its 50th anniversary! I already own the CD, so accessing the music won’t be a problem. I’ll post about it on Saturday, January 26, so stay tuned! My hope in doing this is that I will gain a newfound appreciation for the Fab Four. Maybe I will finally understand what everyone else is talking about when they gush about how amazing/seminal/life-changing this group is! At the very least, this project will make me a more culturally literate and musically knowledgeable person, which is always a good thing! So what do you think about my musical project? Are you a Beatles fanatic or just a casual listener? What’s your favorite Beatles album or song? I’d love to hear your opinions — and if you’d like to join me in my quest, you’re certainly more than welcome! I’m definitely more of a casual listener, and there are so many songs by the Beatles that I probably haven’t heard before. I admire you to confessing to this. And I love the idea of this project. I admit, I don’t think I could do it because always with music, when I feel I *have* to listen to something (for instance, when someone goes “oh, you like this, you have to listen to THIS”) I get a little resistant. It’s not that I do not love recommendations, I do.. but with music I sort of need the feeling that I’m listening to it in my own time, when I’m ready to fully “discover” and “appreciate”. I think a 12 month project might put a little bit too much pressure on me to learn to appreciate the Beatles. Ugh, I wish I could just join you. But you know what? I’ll read along and see what you discover. (Also, sorry for the incredibly rambly comment).